A Young Professionals' Community Service Club. There and Back Again. By Derrick Idleburg Jr.
As you know or don’t know (I hope you know me! 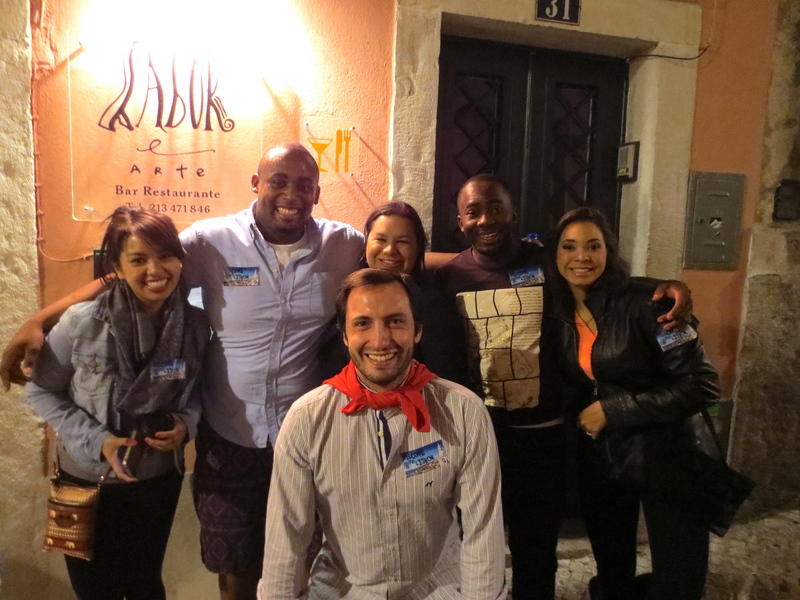 I’m the Membership Chair…), my name is Derrick Idleburg Jr., and I had the privilege, honor and opportunity to attend this years Rotary International Conference in Lisbon, Portugal this past June. I have to sincerely thank the Plaza Club and Club 13 for their support in helping make this trip possible as well as our Rotaract Club for nominating me for this opportunity. This was actually my first trip overseas, and I will never, ever forget it. See the picture below. See? Happy. Good times. No, great times. The Conference. Because, I was there to work and learn. I never expected to meet so many people to be so excited about giving back and making a difference. It definitely rubbed off on me. From hearing talks with Jane Godall, Emmanuel Jal, Craig Keilburger and participating in intriguing lectures, sessions and idea exchanges about how to really effect change, I was blown away. I’ll be honest with you. Prior to joining Rotaract and helping establish this club, I thought that Rotary was a club that established people with money joined to say they give back by providing their money, not their time or their sweat. Well, I was wrong. 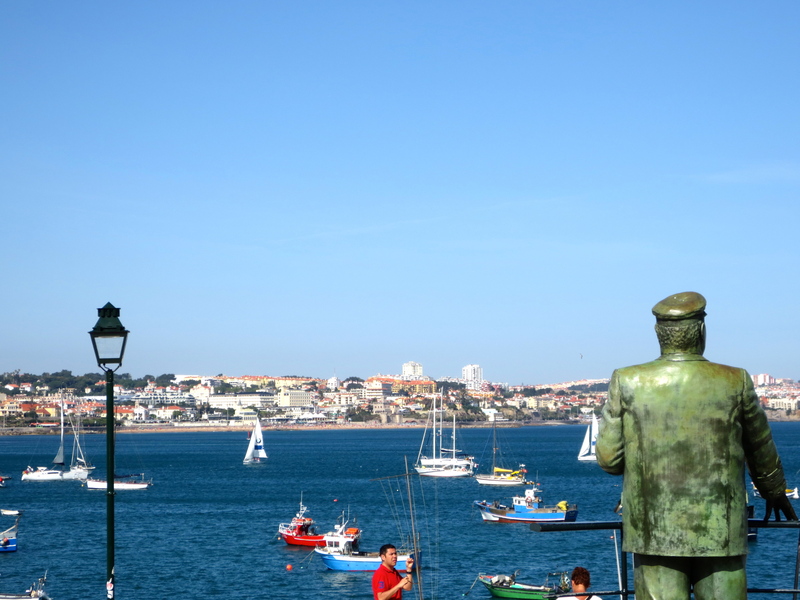 There were volunteer opportunities throughout the week including clean-ups in different parts of Lisbon, and even a 5K to spread awareness about ending Polio. Yes, Polio is back. Mainly in more underserved countries. This conference helped completely change my perceptions of Rotary, and commit to it, and it’s betterment moving forward. At lot of what was experienced at the conference is a little hard to explain, and when you attend next year, it will make a lot of sense. The big focus around the conference was: Ending Polio, Engaging Rotaractors and retaining them, as well as issues in Water, Food, Healthcare Access and much more. 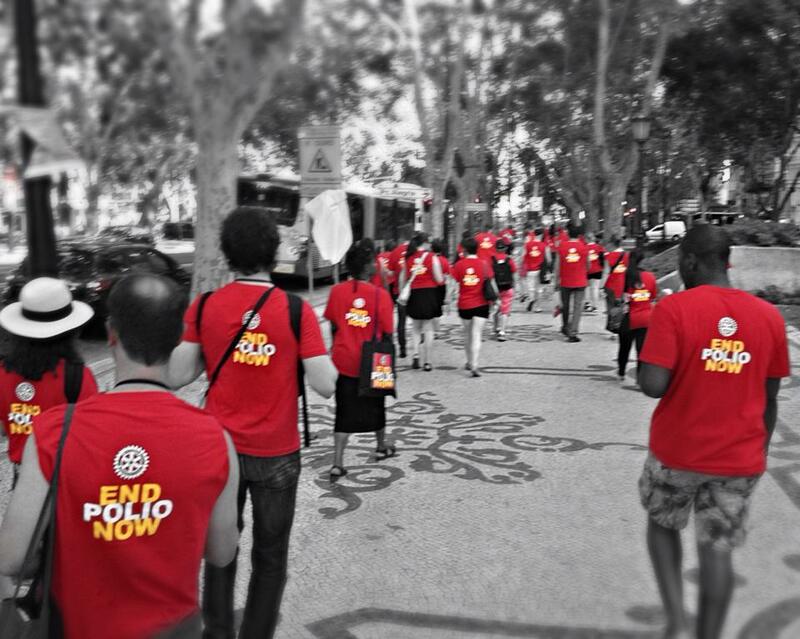 Nothing says fun like walking around Lisbon spreading awareness about Polio. A lot of people had no idea. The timing of this trip truly was perfect. About two days prior to taking the trip overseas, I was laid off from my employer. Devastating right? Well, it depends on how you look at it. You have one of two choices when something happens, you can respond or react. I chose to respond. I’ll spare the details, but I was able to go on this trip with a completely clear, open mind and heart so that I could truly take in what the conference had to offer, along with what the beautiful country I was in had to offer. I definitely took it in every chance that I could. The Statue says hello. Or maybe go away because he’s going to the bathroom. Sometimes all you need is a good pair of shoes and a map. This was off the coast of Cais-Cais. Beautiful scenery. A nice pair of dress shoes never hurts as well. From the conference, I was able to gain some massive insights about myself, including rediscovering latent skills that I let go dormant as well as areas for improvement. I learned what Rotary, Rotaract, and Interact truly is and wondered why I hadn’t joined sooner! I made some great new friends that I will cherish, but most of all I got lost. 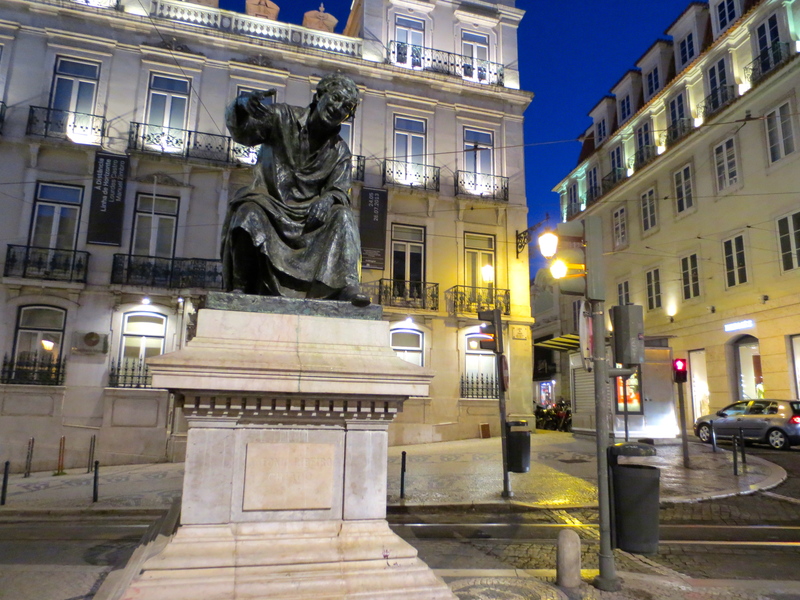 Aside from literally getting lost in Portugal (I walked around every inch of that city I could when I had free time), I lost myself. The old version of myself. I returned someone renewed, refreshed and ready to really dive into what I really wanted. Ok, so maybe I didn’t need a map. I created my own blueprint. It isn’t without hiccups, but I love it more than what I was doing prior to this trip. I like to count June 19th, 2013 as the first day of the rest of my life. I like to count June 19th, 2013 as the first day of the rest of my life. So cheers to new challenges, friends, and adventures and most of all serving others. I have to give a huge thanks to all those that donated to the Indie Go-Go campaign, Sarah Snyder and Nuno Gil for the help staying in a sweet apartment while I was in Lisbon, Rotaract and whoever else supports me or believes in my crazy ideas. I have a majority of my pictures in two separate locations as well as a link to the official photos from Rotary International. See the links below. If you have specific questions about Membership, the trip, getting more involved or why the St. Louis Cardinals are awesome, drop me a line here. It links to my personal email. I have a challenge for all of our members (board included). Get involved. Rotaract is your club as much as it is mine. Like anything, what you get out of something is what you put into it. If there is something that you want to do, speak up and get it started. You will always have the support of the club and our sponsors. If you have an idea for a new volunteer opportunity or fundraising or cause, voice it. No one can read minds. Ok, I’ll stop. For now. See you around the bend. Are you interested in joining Rotaract of Kansas City? Email us rotaractkc@gmail.com.